Immigrant children and adolescents living in the United States encounter significant stressors during the acculturation process, particularly in the schooling context. South Asian immigrants identify strongly with religious and geographic region background. This chapter investigates intersections between religion and education in U.S. South Asians' post-migration experiences in the American Midwest. Findings suggest South Asian children enrolled in U.S. schools are confronted daily by the duality between their parents' birth culture and mainstream values and traditions of the host culture. Participants and their families experience prejudice and racism in daily activities, including school. Prejudice ranges from judgments about English-speaking ability to doubts about the South Asian education system to prepare workers for U.S. jobs. Findings show religious affiliation, accent, skin color, and ethnic dress create barriers for South Asians trying to fit into everyday American society. The U.S. immigrant population is increasing dramatically. The rapidly growing immigrant population also affects U.S. schools. According to a 2017 Migration Policy Report, twenty-three percent, or almost one in four students enrolled in U.S. public schools, comes from an immigrant family. These figures represent a more than 100 percent increase in immigrant students enrolled in U.S. public schools since 1990, when the percentage was 11 percent (2017). South Asians are one of the fastest growing U.S. immigrant groups, with a population that more than doubled between 1990 and 2000. The term South Asian refers to persons from India, Pakistan, Sri Lanka, Bangladesh, Nepal, Tibet, and Bhutan (Bhola, 1996). Arriving in the United States in large numbers only since the passage of The 1965 U.S. Immigration and Naturalization Act, U.S. South Asians now represent the third most rapidly growing immigrant group, surpassed only by Hispanics and other Asians. Little information is available in the professional literature about the everyday lives of recently arrived U.S. immigrants and their children, and even less information is available about how their schooling experiences are affected by the intersections of religion and mainstream American culture (McNeely, Moreland, Doty, Meschke, Awad, Husain, & Nashwan, 2017). This study focuses on experiences and perspectives of first- and second-generation U.S. South Asians due to South Asians’ recent and rapid population growth. 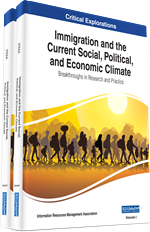 The chapter seeks to add new insights and information to the scholarly literature on post-1965 U.S. migration, especially in regard to the rapidly growing U.S. South Asian population.